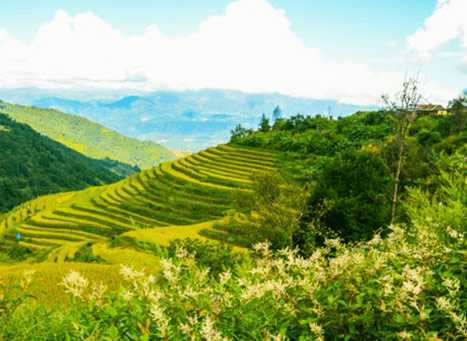 Brimming in culture and history and blessed with tranquillity, Mao is beautiful hill town in Senapati district of the state Manipur. Home to the famous Mao tribe of Nagaland, Mao is one of the busiest commercial towns in Manipur. Apart from the Mao tribe, a number of other local communities resides here as well. Renowned for its beautiful location, lively shopping markets and enthralling attractions, Mao is evidently the most talked-about tourist destination in Senapati district. At present, this surreal town of Mao has cemented its place in the map of Manipur tourism. With its natural grandeur, enchanting waterfalls and dreamy landscapes, the hill town of Mao has become a must-visit attraction in Manipur for people of all ages. While spending a vacation here, you can binge on the resplendent gardens of orchids, lilies and more to relish the exquisite beauty of such floral species. Besides, the town of Mao also hosts an annual Cherry Blossom Festival which is celebrated in the months of November. The festival observes a large footfall of travellers from far and wide. Apart from the natural beauty, this place is also very much famed for Naga King Chilli which is considered as one of the ‘Hottest Chillies in the World’. Because of the rich diversity in the town, one gets a variety of things to do and places to see in Mao. Therefore, in order to have different travel experience, the town of Mao must be in your Manipur travel itinerary. Mao is a beautiful town which is engirdled by the natural abundance throughout the year, and hence, can be visited any time in a year. However, the best time to visit Mao is the winter season, i.e., from October to March. During these months weather of the region remains extremely pleasant and favourable to explore the place. Besides, a lot of tourists also plan their trip to Mao in the months of summer (April to June) which is also an ideal time to visit the place.